Centennial Professor of English at Vanderbilt University, the writer Mark Jarman has championed the poetry of New Formalists for several years. We owe him a debt for such work. How and why will be made known, in the interview below. I met Jarman in the “virtual world” though my friend and mentor Sidney Wade, English Professor and Poetry Writing Instructor at the University of Florida. Jarman is the author of eight books of poetry, most recently Bone Fires: New and Selected Poems (Sarabande, 2011). He also published Epistles (2007); To the Green Man (2004); Unholy Sonnets (2000); and Questions for Ecclesiastes, which won the 1998 Lenore Marshall Poetry Prize and was a finalist for the National Book Critics Circle Award. His awards include a Joseph Henry Jackson Award and fellowships from the National Endowment for the Arts and the John Simon Guggenheim Memorial Foundation. Jarman also co-edited with David Mason the volume Rebel Angels: 25 Poets of the New Formalism. Q: Congratulations, Mark, on having won the 2011 Balcones Poetry Prize (a yearly award of $1,500 given by Austin Community College) for Bone Fires. You are a highly successful poet making a living as an educator. Clearly we don’t pay our poets enough, in prizes or honoraria, to only write, read, and publish. Do you find that teaching supports your creative side? Does teaching student writers affect your “output?” Sorry to use such a utilitarian word, but it carries the meaning, I think? A: A really talented student or even a class with a good esprit de corps can support or inspire my own writing. But the energy I invest in teaching is actually different from the energy that goes into my writing, mainly because I am trying to encourage other writers to learn the craft of their art and to try new things and to develop their talents and habits so that they will continue to write even after the class ends. I have been teaching for nearly 40 years and have yet to see teaching affect the amount of writing I manage to do. I will say that when I first began teaching, if I was working on a poem in my office before class, it could be hard to tear myself away. But I think I’ve learned to keep the two endeavors from conflicting with each other. Q: I know this one is pretty much standard fare for interviews, but I am curious: who do you think of when the notion of “poet of influence” comes up in conversation? For me it was James Wright. His poem, “A Blessing,” was transformational for me, in my junior year of college. I think we all have one. Yours? A: The first poet I discovered for myself was Theodore Roethke. For many years his poetry, especially the poems in The Lost Son and Other Poems, which include the green house poems, were my inspiration and led me to recognize that the circumstances of my own life, the ground under my feet as it were, were ready subjects for poetry. The poem by Roethke that first grabbed me was “Frau Baumann, Frau Schmidt, and Frau Schwartz,” about three gardeners in Saginaw, Michigan where he grew up. Since I had three grandmothers when I was growing up, each of whom had her own private magic, I may have seen them reflected in the poem. But it was the phrasing and music of the poem, along with its wonderfully peculiar choice of subject, which captured my imagination. I can look at poems of mine, even recent poems, and see when I’ve written a poem that echoes “Frau Baumann, Frau Schmidt, and Frau Schwartz.” With Roethke, whom I discovered in high school, the whole world of poetry opened up, and at this time, I often feel that poetry itself is transformational. Q: You have taken a leading role as an advocate for a growing body of poets identified as “new formalists.” You edited an anthology with David Mason, in 1996, published by Story Line Press, titled Rebel Angels: 25 Poets of the New Formalism, which I have used in my courses. I see some odd sonnets or triolets now and again, but I do not see much movement toward that predilection in what gets selected by top tier literary magazines. Frankly, I would like to say I do, because I admire such skill. All that said, what kind of influence do these poets, people like Dana Gioia, Mary Jo Salter, and her husband Brad Leithauser, to name only three, have on the contemporary poetry writing scene in the U.S. today? That is to ask; are you optimistic as to their positive impact on young writers? A: To me the success of what was called the new formalism is to be found in the generation younger than the poets represented in our anthology. Poets like A. E. Stallings (a recent MacArthur fellow), Joshua Mehigan (recent finalist for the Los Angeles Times Book Award), and the late Wil Mills, and the presence and popularity of British formalists like Don Paterson and Glyn Maxwell, all attest to an assimilation of traditional verse as an acceptable way of writing poetry. The new formalism was never, to my way of thinking, only about discrete forms like the sonnet and the triolet, but about writing in measure. But I also always believed that traditional verse should be available to younger poets who were inclined that way. It was not when I started writing; it was more or less prohibited. The poets you mentioned, Gioia, Salter, and Leithauser, have certainly had their effect, but there are many others of equal or greater influence among those represented in Rebel Angels and those who were just a little too old to be included. Finally, I’m unaware of any top tier literary magazines which will not publish formal verse these days. You’re as likely to see formal poems in APR (American Poetry Review) as in Poetry, in The Yale Review as in Five Points. Q: Arguably, there are several annual, well-respected workshops that draw student- poets nationally: I am thinking of Sewanee, Breadloaf, Palm Beach Poetry Festival. A few more, no doubt. If you could design your own one-week workshop for poets and staff it with a handful of top-shelf poets, what would you want them to accomplish? What goals would you set? A: Well, I’ve taught at some of these writers conferences and others, but I have no idea how I would design a one-week workshop! When I teach a workshop for a week or two, I’m usually working with already accomplished poets who are interested in responses to their recent work. My aim, if I’m the workshop leader, is to have a discussion that will give the poet an honest appraisal and possibly digress into larger issues of poetry. Q: Finally, what are you working now? A: I’m feeling my way from poem to poem, waiting to see if something as unified as a new collection emerges. I’m also trying not to repeat myself, which is harder to do than you would think. The way God steps into history, past and present, continues to be a compelling interest. But so does the simple presence of the sacred in everyday life. 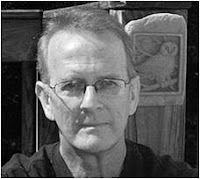 Arthur McMaster‘s poems and short fiction have appeared in such journals as North American Review, Poetry East, Southwest Review, Rhino, Wisconsin Review, and Subtropics, with one Pushcart nomination. He has two published chapbooks, the first having been selected by the South Carolina Arts Commission’s Poetry Initiative, in 2008. McMaster holds an MFA in Creative Writing from the University of Florida and teaches creative writing (poetry and fiction) and Twentieth Century American literature, at Converse College, in Spartanburg, South Carolina. He is a poetry editor and reader for Emrys Journal.